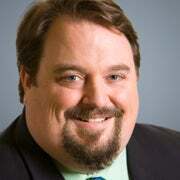 David B. Muhlhausen, Ph.D, is a leading expert on criminal justice programs in The Heritage Foundation’s Center for Data Analysis. A research fellow in empirical policy analysis, Muhlhausen has testified before Congress on the efficiency and effectiveness of law enforcement grants and other programs. 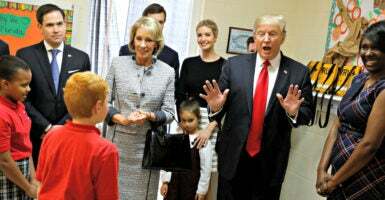 President Donald Trump has clear justification for his recommendation to eliminate a $1.2 billion after-school program administered by the Department of Education. Rigorous scientific evidence shows that the program, called 21st Century Community Learning Centers, harms children. Advocates of evidence-based policy should applaud the president’s fiscally responsible decision, part of his fiscal year 2018 budget request. The role of the federal government in funding after-school programs increased substantially after Congress passed the Improving America’s School Act of 1994, which created 21st Century Community Learning Centers. Despite this lofty goal, the program has been proven to be ineffective and wasteful. Not only did the program fail to affect academic achievement, but an experimental impact evaluation at multiple sites in 2007 found a whole host of harmful effects. Failed impact on homework outcomes. From the perspectives of students and parents, the evaluation assessed the effectiveness of the after-school program based on 22 outcome measures regarding homework activities. It concluded the program failed to affect 21 out of the 22 outcomes. For example, participation had no effect on homework and tutoring activities as reported by students. Only one outcome measure yielded a beneficial result. According to parents’ reports, participating students were more likely to be engaged in after-school tutoring activities, compared to students who weren’t in the program. Otherwise, the program failed to affect tutoring and homework outcomes. Harmful impacts on academic outcomes. The evaluation assessed 11 academic outcomes. Only two of these measures yielded statistically meaningful results. Startlingly, these two outcomes point to harmful impacts of participating in the after-school program. According to their teachers, participating students were less likely to achieve at above average or high levels in class and were less likely to put effort into reading or English classes. Otherwise, the program had no effect on the other measures of academic achievement. For example, participating students fared no better in math, English/language arts, and science grades than did similar, nonparticipating students. Further, the program did little to improve reading skills. Harmful impacts on behavioral outcomes. Of the 12 behavioral outcomes assessed by the evaluation, six measures indicate that 21st Century Community Learning Centers produced more harm than good. Overall, teachers found participating students to have disciplinary problems that were confirmed by student-reported data. These students were also more likely to have behavior problems in school than were their counterparts. Teachers were more likely to have to call the parents of participating students about misbehavior. Participating students were also more likely to miss recess or be placed in the hall for disciplinary reasons. Their parents came to school more often to address behavior problems. Participating students were also more likely to be suspended than similar students. The evaluation demonstrated scientifically that 21st Century Community Learning Centers not only was ineffective but harmful to students. Some members of Congress, however, ignore the ample scientific evidence of failure. Barletta’s assessment is not based on the evidence. American taxpayers deserve better. 21st Century Community Learning Centers is a critical failure. Trump’s recommendation to eliminate it is fiscally responsible.